In a recent change of strategy, Samsung decided to start implementing new tech into the mid-range lineup if it's available, rather than withhold stuff so flagships can get it first. And with the recent quad and triple camera Galaxy A9 (2018) and Galaxy A7 (2018) smartphones, it looks like the company is already executing its plan. 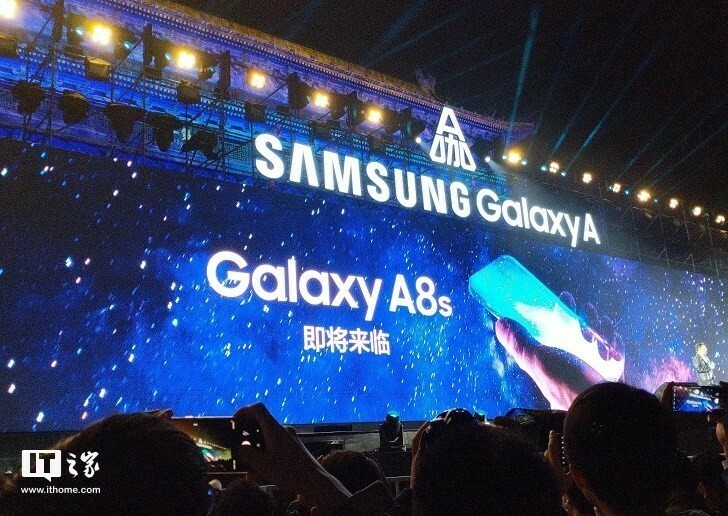 And to top it off, the company just teased the arrival of Galaxy A8s at the end of the Galaxy A9s and A6s announcement event. The new phone will be a first of its kind with a hole in the upper left corner of the display. The hole is for the front-facing camera and will most likely integrate the rest of the sensors as well - for proximity and ambient light.